Young love. Angst. Heartbreak. Healing. 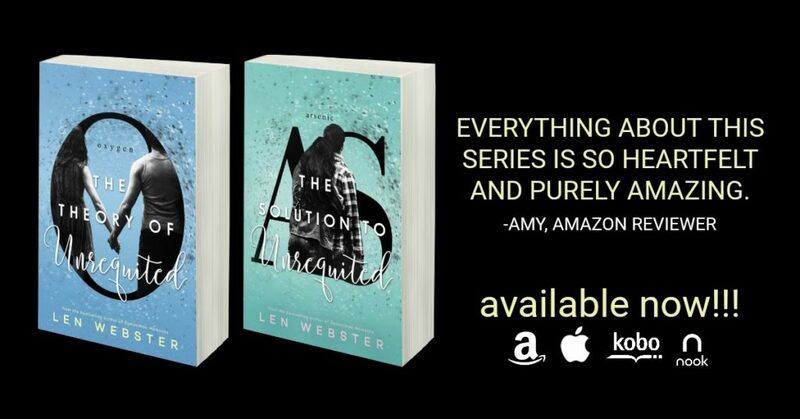 The Solution to Unrequited by Len Webster is LIVE! I am so invested in both the story and characters of Evan and AJ so much so that at times I found myself having to remind myself to breathe. To be honest both of them frustrated me so much, I was screaming at them on my head to just talk to each other but then I remembered their ages. Of the two I found myself questioning Evan's feelings for AJ the most. Does he really love her ? Does he even know what love is? I hated how as we saw in book one he took her so much for granted, how selfish he was. There are lightbulb moments when his past actions smack him in the face but can be be redeemed. Watching AJ flounder and flourish on her own is quite empowering and was a part of the story that is a great example for young women everywhere. Another fantastic book in what is turning out to be one of my favourite coming of age series. Oh, my poor defenseless heart! Have you ever craved the answers? Like you needed them so much you begged the author for the next book? So much need, longing, and love for two characters that you twitched to have the answers? But let me ask you, when you were desperate and needy for those answers did you fear the results? 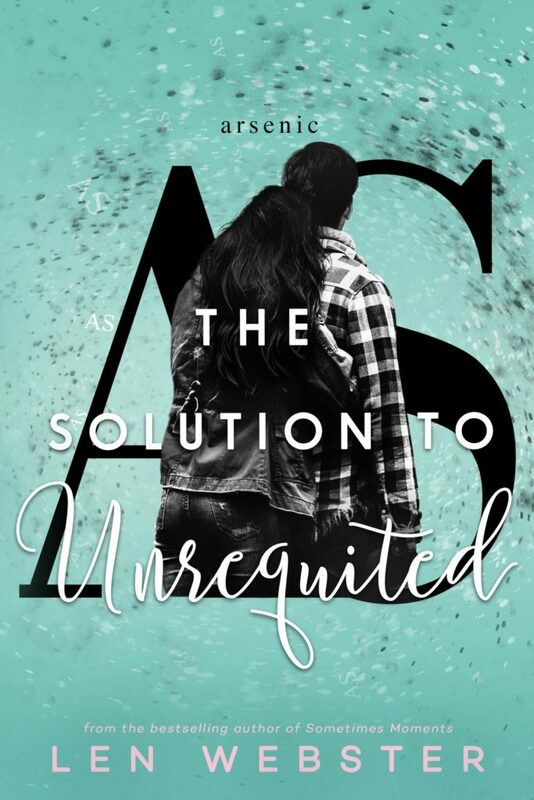 Because I found once The Solution to Unrequited hit my kindle I actually backed away in fear! Legit, heart clenching fear. I was terrified of The Solution to Unrequited. And even having read it, I'm still afraid. (Wan smile) I am afraid that this story is going to continue to break me. Fear shouldn't hold you back though. And in the end, I let it back me into a corner. I had no other choice and I'm glad I finally found the courage to continue AJ and Evan's story. The Solution to Unrequited will answer the questions tearing you apart after The Theory of Unrequited. #WhatHappenedAtPromEvan? Will he find her? Will they move on? What about Connecticut? But don't break out the champagne just yet! The Solution isn't the end of this story. Len Webster has plans to torture us even more. 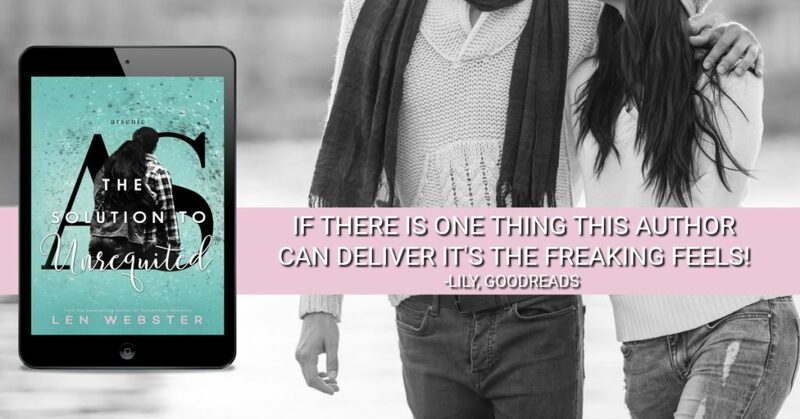 So angst lovers, love lovers,and needy people who like to cry- buckle in its going to be a bumpy ride!